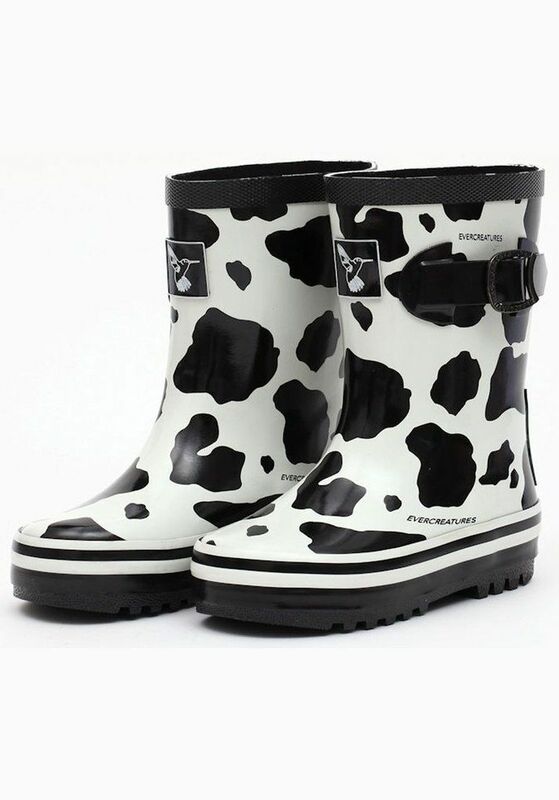 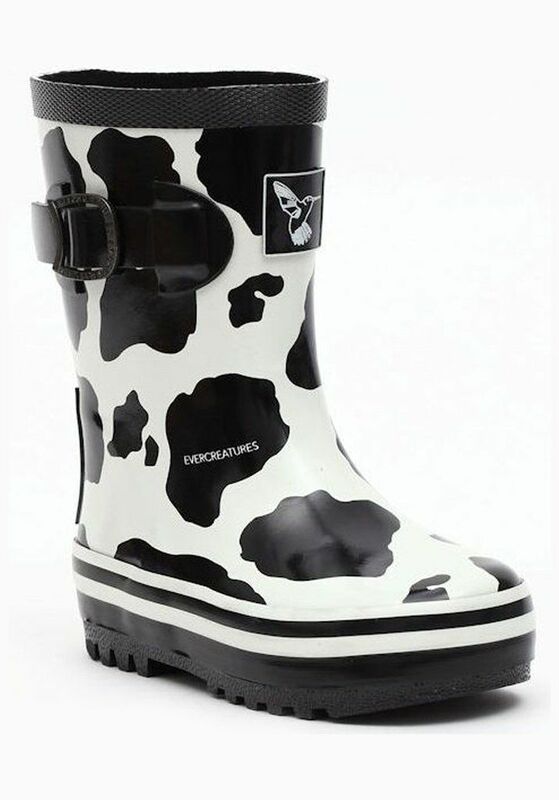 Little Creatures Cow Childrens Wellington Boots, Natural Rubber Kids Wellies with a Fun Cow Design & Black Lining - Free Standard Delivery available with our Direct Ship option. 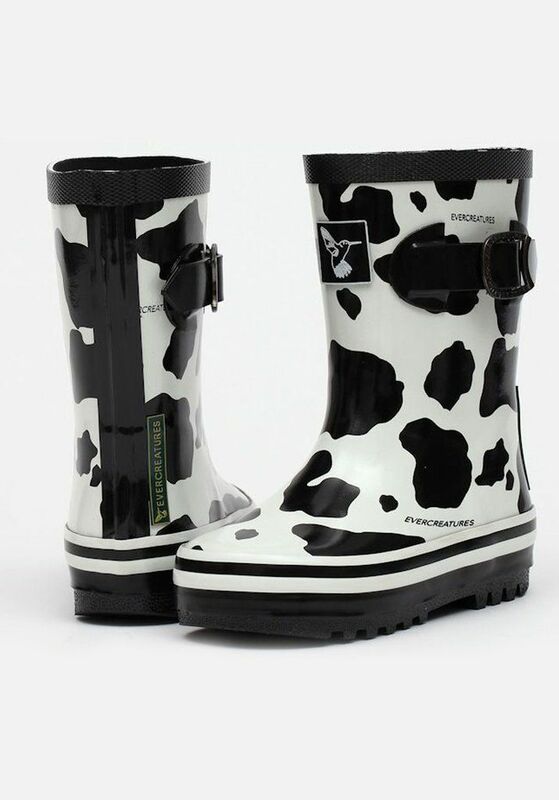 These Little Creatures cow Childrens Wellington Boots feature the Trademark 4 –stripe Fixing to prevent leaking and Stitched Insole for extra comfort. 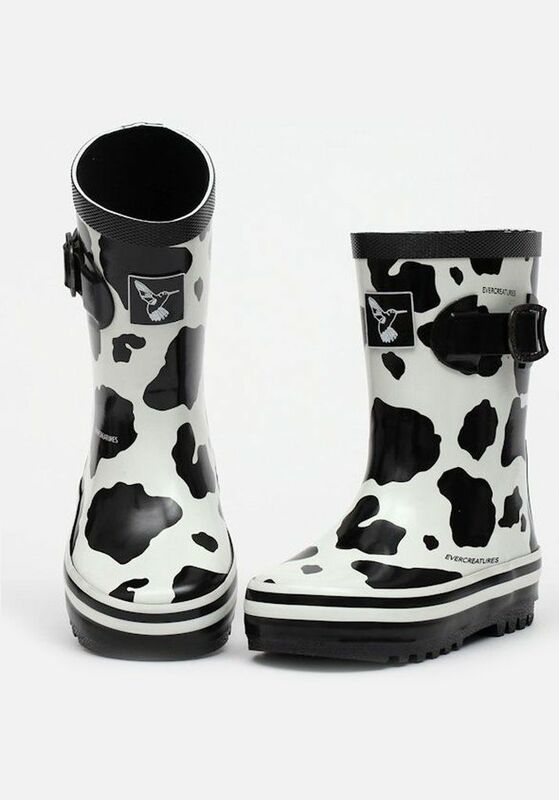 The Little Creatures cow Childrens Wellington Boots are supplied in a Heavy Duty Reusable Plastic Bag complete with Humming Bird Keyring. 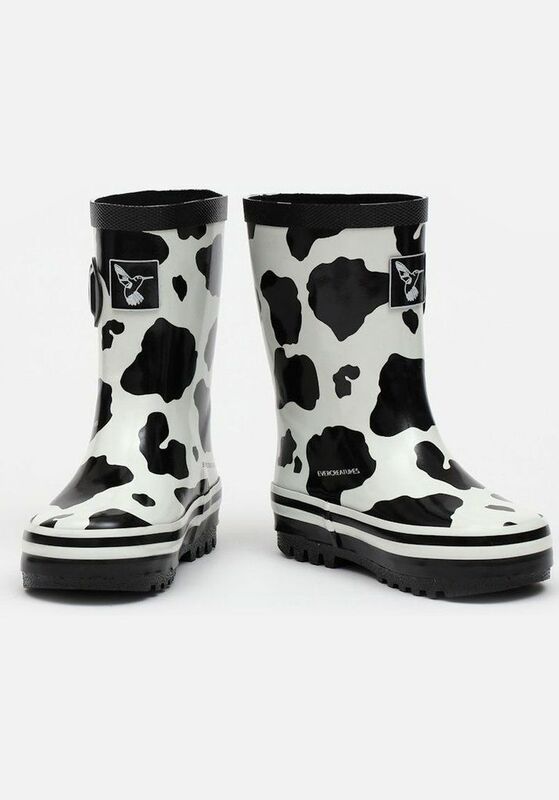 Need a little help with sizing? 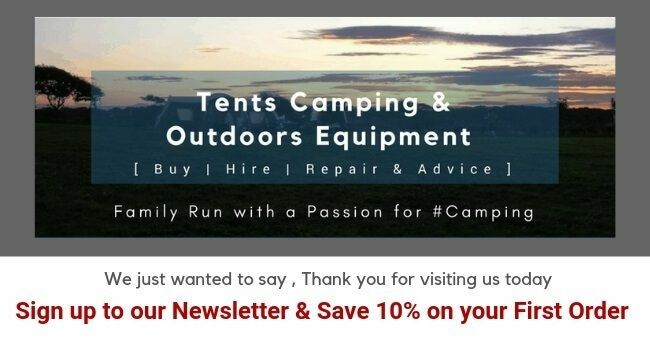 The Team @ IBEX Camping are here to help.